Norsk Sarkoidose Forening (Norwegian Sarcoidosis Association) celebrated its ten years anniversary yesterday at the Thon Hotel Opera in Oslo with two lectures followed by dinner and birthday cake. 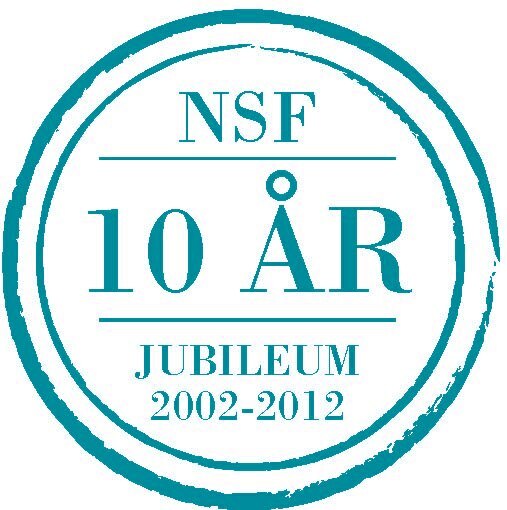 NSF was founded September 2002. The association is supposed to be an ally for all who has the disease and at the same time work for sarcoidosis becomes common currency for health staff and health authorities. The association also works for that the medical research milieu and the different health authorities/staffs together get inspired to do research and find solutions for our syndrome. NSF also works towards authorities so we are included in future health plans in Norway. The leadership of NSF is consists of people who have experience with the disease and work in associations.